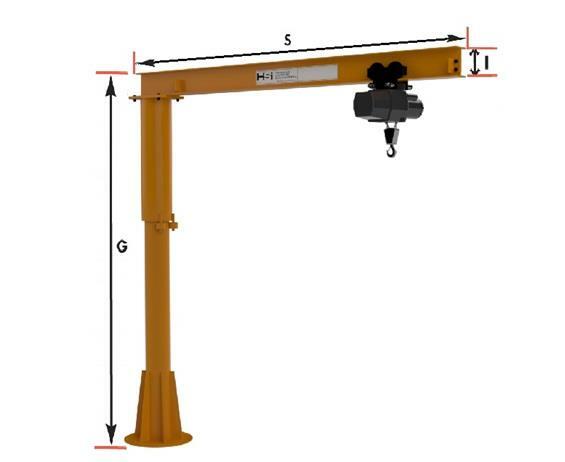 Low cost crane rotates 360°. 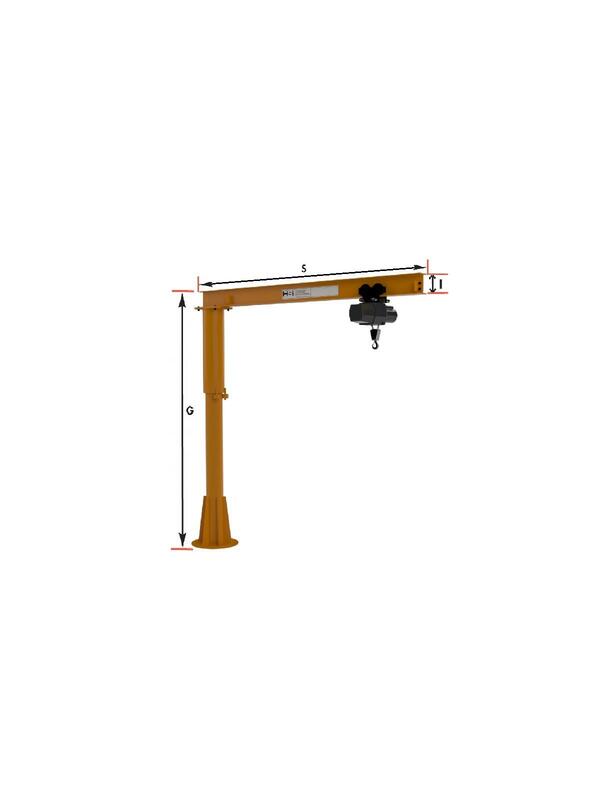 Self-supporting crane is made of rolled steel I-beam to fit most standard hoist and trolleys. Designed for light assembly, welding or handling over a 360° circle. Mast is heavy pipe column with upper thrust bearing and housing. Welded steel base plate and gussets. Bottom head assembly rotation consists of two heavy-wall rollers with pressed in bronze bushings. Head is heavy wall pipe with roller axles and boom connection plate. Safety yellow enamel paint finish. Accessories available include hoist, trolley, tagline, anchor bolts, chemical anchoring kits (foundationless units), templates, rotation stops and collector ring assemblies. Available as a complete package - call for price and delivery. Call for foundation requirements. FOB Shipping Point. See Related Items tab for Pillar Base Mounted Jib Crane Accessories.